A group of French intellectuals, politicians, and civil society organisations published a joint letter in Le Monde on Tuesday protesting French President Emmanuel Macron for inviting Turkish President Recep Tayyip Erdoğan to participate in the commemoration of the 100th anniversary of the end of World War One in Paris on Nov. 10-11. The group said that the events were meant to express a joint will to prevent a repetition of the horrors of World War One and reminded that, accordingly, the Élysée Palace indicated that the events will be organised as a peace forum rather than a military parade. The letter said that Erdoğan perpetuated the Turkish state’s denial of the Armenian genocide, the extermination of reportedly 1.5 million Armenians living in the Ottoman Empire in 1915, adding that peace could not be established by complacency towards crimes in the past. 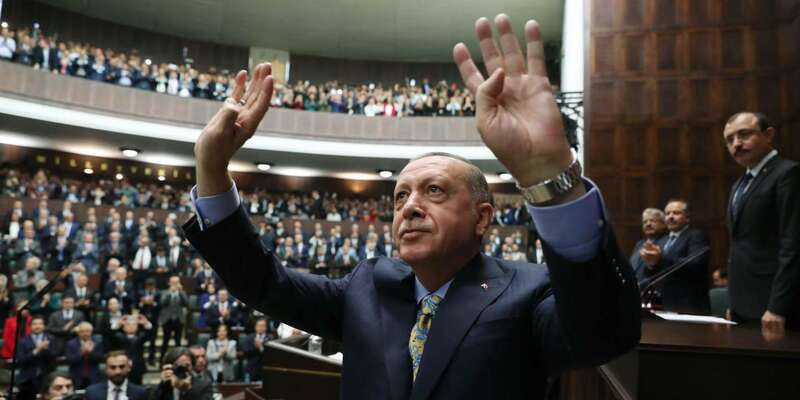 The signatories agreed that the aggressive nationalism of the Turkish state had escalated since Erdoğan had come to power with his Islamist tendencies. Turkey also pressures minorities, particularly the Kurds, against whom it wages wars inside and outside Turkey, the letter said. The letter criticised Erdoğan for continuing what the signatories called the military occupation of Cyprus, a member of the European Union. The letter also accused the Turkish government of fuelling jihadism and anti-Semitism, by inciting hatred against Israel. The infringement of liberties inside Turkey has reached new heights, the letter added, pointing out that Turkey is the biggest jailer of journalists and is holding some 55,000 political prisoners. Philosopher Pascal Bruckner, director Costa Gavras, and French deputy Valérie Boyer, known as a strong advocate for Armenian issues, are among the signatories of the letter. The Coordinating Council of Armenians Organizations in France (CCAF) sent a separate letter to Macron to protest his invitation to Erdoğan, Deutsche Welle reported. CCAF said that Erdoğan’s presence contradicted with the spirit of the event. CCAF last week criticised a French deputy of Armenian descent, Jacques Marilossian, for attending the reception organised by the Turkish Ambassador to France on Oct. 29, the 95th anniversary of Turkey's founding. TRIBUNE. La présence de M. Recep Tayyip Erdogan, qui perpétue le négationnisme d’Etat de la Turquie à l’égard du génocide des Arméniens, ne doit pas être interprétée comme une caution apportée à ses méthodes, car « la paix ne saurait passer par les non-dits ou la complaisance envers les crimes du passé comme du présent », explique un collectif de personnalités dans une tribune au « Monde ».